Pesky pests are a problem home and business owners battle time and time again. Ignoring pest problems can have damaging consequences – termites can destroy your home or building’s structure, raccoons tear their way into your attic, ants relentlessly invade your interiors, wasps create nests inside and out, posing a danger to occupants – and more! While a proper pest control strategy can protect areas of your home or building and keep unwanted guests at bay, one path pests can take is often overlooked: your heating and air conditioning system. By pest proofing your HVAC system components, you can keep pests out of your home or business, prevent damage to expensive equipment, and protect occupants from health hazards. Pests enter a home or commercial building’s HVAC system due to a variety of reasons. The poor condition of your HVAC components have created opportunities for pests to enter. Your home or building may be located in an area where certain infestations are common, such as raccoons in rural areas or insects due to nearby wetlands. Pests can damage the HVAC components in which they are nesting or using to move about the home or building, causing the need for expensive repairs or system replacement. Pests entering the structure through HVAC systems can also cause extensive damage to the home itself, generating the expense of necessary repairs. Pest damage to the HVAC systems and/or the structure itself can have a negative impact on resale value. Odor: Droppings, dead pests, and other pest debris left behind in your HVAC system (namely your ducts) can cause your interiors to smell. 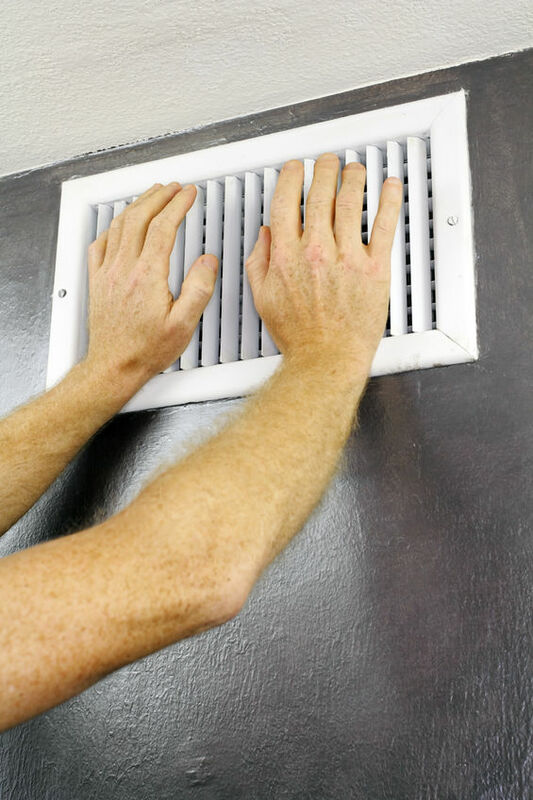 As conditioned air circulates through the duct system, the odors emitted by pests will move into your home. Pesticides: If pesticides are being used in efforts to treat your pest problems, the chemicals in these products will also diminish the quality of air inside your home or business. Exposure to pests in the HVAC system can pose serious health risks to yourself, your family, your employees, and other occupants. Exposure to pesticides used in attempt to treat a pest infestation can irritate the eyes, nose, and throat. In serious cases, pesticides may damage the central nervous system, kidneys, and liver, as well as increase one’s risk of cancer, according to the Environmental Protection Agency. Many pests are also common allergens. With such pests infesting within HVAC systems, occupants are continuously exposed to allergens which trigger symptoms ranging from minor to severe. 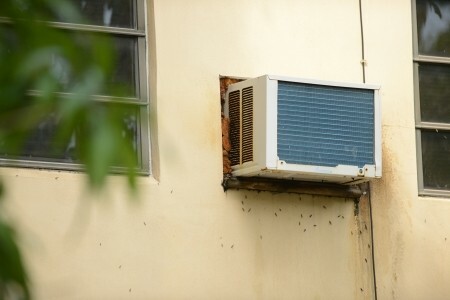 Pests nesting in outdoor components, such as within air conditioning condensers or vents, pose a threat to anyone nearby; passersby and HVAC technicians could be seriously harmed if stung by a bee or bitten by a rodent. As pest debris cycle into indoor areas when air circulates through the HVAC systems in which they are living, the home or business will become contaminated with dander, droppings, and other pest debris. Exposure may exacerbate asthma and other respiratory conditions. Prevent pest infestations and the problems which go along with it by taking steps to make sure your HVAC system and its components are protected. Gaps, cracks, and larger disconnections in the duct system create points of access for pests to enter your HVAC system as well as your home or building’s interiors. Insects, mice, and larger vermin may enter the duct system, depending on the size of air leaks. Not only can pests in your ducts cause damage to the ductwork itself, it can cause serious indoor air quality issues. Excrement and dander left behind by the pests will spread into your interiors as conditioned air circulates through the duct system, posing a health hazard to occupants. Treating with pest poison isn’t an ideal strategy for a duct infestation. Sure, it can kill the pest, but they’ll likely die within your duct system, creating a problem in and of itself. Decaying rodent carcasses within your ductwork can spread odors through the structure, and locating them for removal can be a challenge. Spraying pesticides into the ducts will cause the pesticides to recirculate back into your home or business. Trapping is a better option when ductwork is infested; live traps can be set inside the ducts to trap larger pests such as mice and rats, so they can be removed, while glue traps can be used to catch insects. Ductwork should be professionally sealed and you may elect to treat the home or business with pesticide to prevent reinfestation. Duct cleaning can remove dead pests as well as the debris they’ve left behind to improve indoor air quality. Your HVAC system utilizes flue pipes to expel byproducts of combustion from the furnace; these pipes must be in good working order to protect occupants from dangerous carbon monoxide poisoning. If critters, such as birds and chipmunks, enter the flue pipes and perish, their remains can block the flue, forcing combustion byproducts back into the home or building. Your home or business may also have fresh air intakes and other exterior vents which are components of ventilation systems, such as whole-home ventilation or exhaust fans for kitchens and bathrooms. Pests can enter the building through exterior vents, and often find these areas to be an ideal location to build their nest. Vent covers should be installed on all exterior flues, intakes, and exhaust vents. These covers will block pests’ point of entry, preventing them from travelling inside your home or business, and keeping your pipes clear of nests. These covers have additional benefits, such as keeping rain water out of your vents. Make sure vent covers are installed securely; small animals can be resourceful, and may find a way to pull off your covers if they are not on tightly. Rodents and other small animals can cause great damage to your exterior air conditioning condenser. 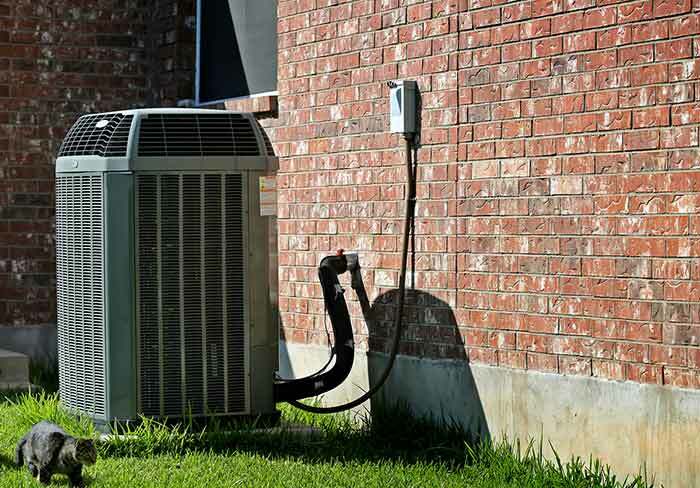 They can damage components by chewing, scratching, urinating, and more – even their presence can harm the system, should you happen to turn the air conditioning system on when they are inside. Your best line of defense in protecting your condenser is preventing rodents from coming near it to begin with. Keep the area surrounding your condenser clear by cleaning around it on a regular basis. Cut away vegetation and clean excrement, which can attract vermin to the area initially. Warm water and a mild soap can be used to scrub the exterior of the unit as well as the surrounding area. Use a pet repellant to deter animals from coming to the area. Pet repellants contain scents which are unattractive to animals, so by spraying it on the condenser its surroundings, animals will not want to come nearby. Pet repellants are a safer alternative to chemical pest treatments as they are natural, so you won’t risk the negative side effects of pesticide exposure when working to prevent pest issues. A credible HVAC professional can advise and assist you as you work to pest-proof your HVAC system, as well as provide necessary repairs, should pests have caused damage to your HVAC system already. HVAC.com connects home and business owners across the country with trusted HVAC professionals who put their skills to work, solving difficult comfort challenges. Let us connect you to a trustworthy local HVAC contractor who will perform quality installation for the reliable comfort solutions you need. Click here to learn more.